Looking for a Used S60 in your area? CarGurus has 6,569 nationwide S60 listings starting at $1,750. It got a facelift in 2014, became more fuel efficient in 2015, and now for 2016 the Volvo S60 has grown a few inches. These changes are all welcome, of course, and the same can be said of what remains unaltered - mind-easing safety, spirited engines, and high quality craftsmanship from a reliable brand. The introduction of the Inscription model to the 2016 S60 lineup is what adds 3.4 inches to the sedan’s wheelbase; and, more importantly, that 3.4 inches contributes to the total rear legroom. Adults over 5-foot-10 have found the previous S60s, and probably the current non-Inscription models, a bit snug. The new Inscription trims (there are four for the S60) also come standard with leather upholstery, sunroof, bright window trim, a configurable instrument display, and an auto-dimming rearview mirror. Other changes for the 2016 S60 include some rearranged features among the 10 (yes, 10) trim levels and the elimination of the fold-flat front passenger seat. With the S60 approaching the end of its second-generation life cycle, the Inscription's arrival creates a fresh feel for this entry-level luxury sedan. And because the Inscription models are loaded with comfort and safety features, they help the S60 better stack up against its chief competitors - the BMW 3 series and Mercedes-Benz C-Class. Now, about those 10 trim choices. The standard wheelbase options are T5 Drive-E, T5 AWD, T6 Drive-E, T6 Drive-E Platinum, T6 R-Design AWD, and T6 R-Design AWD Platinum. The long-wheelbase Inscription choices are the T5 Inscription, T5 Inscription Platinum, T5 AWD Inscription, and T5 AWD Inscription Platinum. The T5 Drive-E and the T5 Inscription are powered by a turbocharged 2.0-liter inline four-cylinder (240 horsepower, 258 lb-ft of torque) that sends power to the front wheels through an eight speed automatic transmission and gets 26 mpg city/38 highway/30 combined in the T5 Drive-E and 25/37/29 in the T5 Inscription. Volvo’s time-tested and turbocharged 2.5-liter inline five-cylinder (250 horsepower, 266 lb-ft of torque) moves the T5 AWD and T5 AWD Inscription with a six-speed automatic transmission and gets 20/29/23 in both models. The front-wheel drive T6 Drive-E comes with a supercharged and turbocharged 2.0-liter four-cylinder (302 horsepower, 295 lb-ft of torque) mated to an eight-speed automatic transmission and gets 23/33/27. And the T6 R-Design AWD is equipped with a turbocharged 3.0-liter six-cylinder (325 horsepower, 354 lb-ft of torque) that sends power to all four wheels through a six-speed automatic transmission with paddle shifters and gets 18/27/21. That six-cylinder engine pushes the T6 R-Design AWD from 0-60 mph in 5.4 seconds, while the supercharged four cylinder moves the T6 Drive-E from 0-60 in 5.9 seconds. Neither time is exceptional for a luxury sedan, even at the entry level, and that sort of sums up the S60 driving experience as a whole - it’s capable and responsive and you feel like you’re in a high-quality vehicle, but it’s more of a comfortable ride than a sporty one. The interior of the S60 is a different matter. Not only does it have that unique Volvo feel, high-end materials and detailed construction, but it's brimming with features as well. The T5 Drive-E and T5 AWD serve as base models in terms of content and come standard with LED running lights, heated mirrors, cruise control, dual-zone climate control, an eight-way power driver's seat, a leather-wrapped steering wheel, Bluetooth phone and audio connectivity, an eight-speaker sound system (CD player, HD Radio, satellite radio, an auxiliary audio jack and USB interface), a low-speed forward collision warning and mitigation system, and Volvo’s Sensus smartphone app integration that lets you connect to music apps, WiFi, navigation, and remote assistance options. The T5 Inscription and T5 AWD Inscription get all that standard equipment (and that’s not even the full list), plus, as mentioned above, leather upholstery, a sunroof, bright window trim, a configurable instrument display, and an auto-dimming rearview mirror - which also happen to be the extras you get when you add the Premier package to the T5 Drive-E and T5 AWD. The Platinum trim adds a 12-speaker Harman Kardon sound system, adaptive xenon headlights, the Convenience package (power-folding mirrors, keyless ignition and entry, a rearview camera, and a grocery bag holder), and the Technology package (adaptive cruise control, automatic high beam headlight control, driver-attention warning, a more advanced forward collision warning and mitigation system, and, on AWD models, a lane-departure warning system). Front-wheel drive Platinum models also come with an automatic parallel parking system. The T6 Drive-E has the same standard features as the T5 Drive-E with the Premier package, and also gets a sport-tuned suspension, adjustable steering, paddle shifters, sport seats with power lumbar support, keyless ignition and entry, and 18-inch alloy wheels. The T6 R-Design AWD combines all those T6 Drive-E features with its more powerful engine, a sport steering wheel, 19-inch wheels, R-Design sport seats, R-Design sport-tuned suspension, and unique styling details inside and out. Last - but very far from least when it comes to Volvo - are the S60's safety features. There’s stability and traction control, the full array of air bags (including front-seat side and side curtain), anti-lock disc brakes, whiplash-reducing front head restraints, the low-speed forward collision and mitigation warning system (which Volvo calls “City Safe”, and which scans for all objects within 500 feet of the front of your car), and Volvo’s On Call, which includes automatic crash notification, emergency assistance and stolen vehicle assistance. 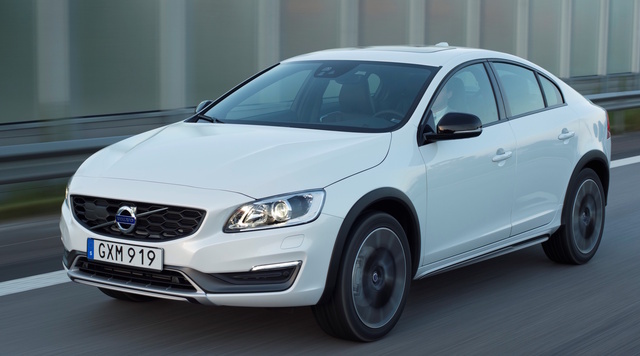 And a body made of ultra strong boron steel helped the S60 earn a perfect five-star rating in government crash testing. What's your take on the 2016 Volvo S60? Have you driven a 2016 Volvo S60? 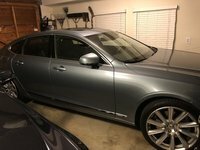 2016 Volvo S60 doors dont lock with remote or when touching door handle. Lookedat my carsettings, but still dont lock. Locks work when using manual inside door lock. Why not remote? I would like to look up a car that I saved and was sold. 2016 Volvo T5 Premier AWD out of Bob Penkhus.